Minnesota is a hotbed for live theater. Rumored to have more theater seats per capita than other metro areas in the U.S., the Twin Cities is at the center of the action. Three Minneapolis companies have won regional Tony Awards, Disney’s “The Lion King” premiered here, and August Wilson completed some of his most important works after receiving a fellowship from the Playwright’s Center in Minneapolis, premiering many of his plays with a local St. Paul company. These are some of the North Star State’s best stages. The granddaddy of professional live theater in Minnesota, the company founded by Sir Tyrone Guthrie has kept audiences rapt since 1963. The Guthrie, known for its Shakespeare productions, won a Regional Theatre Tony in 1982. The theater is now in a modern, multi-stage facility on the banks of the Mississippi River, attracting national and regional talent to direct, create, and perform in its productions. For four decades, the Penumbra has been blazing the trail for cutting-edge theater in Minnesota. In it’s history, it’s premiered nearly three dozen shows, including several by two-time Pulitzer Prize winner August Wilson. Dedicated to giving a voice to African American theater professionals, founder Lou Bellamy and the Penumbra are renowned for nurturing unique voices that, otherwise, may not have been heard. The Children’s Theatre Company has been a Minnesota favorite for decades. Awarded a Regional Theatre Tony in 2003, the Children’s Theatre is know for its professional, whimsically-staged shows and top-notch educational programs. Young theater professionals in Minnesota often aspire to get their feet in the door with this groundbreaking company. The Rochester Civic Theatre Company has been the premier theatre company in Southeast Minnesota since the 1950s. Despite its location in a mid-size city, the RCTC has always attracted nationally and internationally-renowned performers and other theater professionals to its stage. With a regular schedule of well-known and original shows, the RCTC keeps its community applauding and returning for more. Now an anchor of the Lyn-Lake neighborhood, Bain Boehlke’s Jungle Theater started its existence in a storefront on Lake Street. It’s current location, kitty-corner from the original spot, is a modern 150-seat facility where five main-stage productions are produced every year. The works range from Shakespearean classics to the latest drama from the West End, and most things in-between. For more than a century, the historic Duluth Playhouse has offered a full season of productions to keep residents of the Arrowhead Region entertained, enlightened, and eager for more. The Playhouse attracts a combination of local, regional, and national talent to fuel its inspired and popular productions. The Chanhassen Dinner Theatres have been putting smiles on the faces and food in the stomachs of Twin Cities theater patrons for decades. 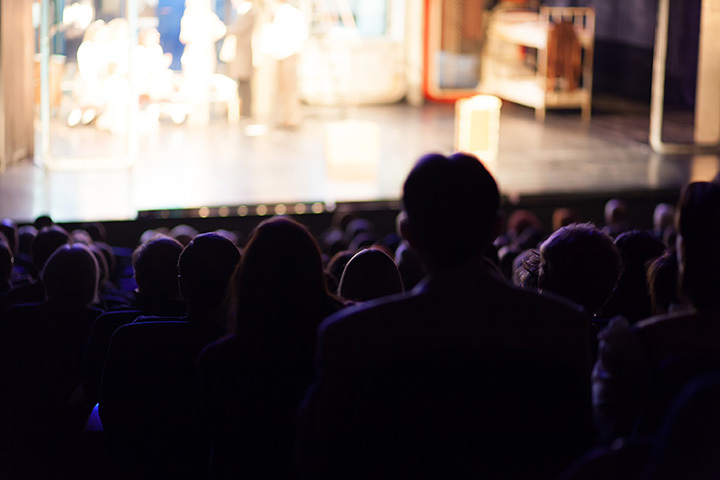 Always lighthearted, usually entertaining, and eternally popular, CDT offers several productions and special events on their stages throughout the year. The food’s pretty tasty, too! Since the mid-1970s, when 22-year old Jack Reuler founded the company in the Cedar Riverside neighborhood, Mixed Blood has been pushing theatre boundaries, racking up awards, and earning the respect of fans and critics on both local and national levels. In addition to its regular schedule of productions, its also a primary host for the Minnesota Fringe Festival, the annual Twin Cities theater crawl. Park Square is downtown St. Paul’s best-known, professional regional theater company. Located on the 7th St. Place pedestrian mall, Park Square’s two stages host several productions every season, including classic favorites, such as Shakespeare, and modern originals that challenge audience assumptions. The four Minneapolis stages of the Hennepin Theatre Trust–the State, Orpheum, Pantages, and New Century Theatres–combine with the Ordway Center for the Performing Arts in St. Paul to ensure that there is almost always a national, touring production of a major show in the Twin Cities. The Ordway hosted the first touring production of “Rent” and the Orpheum debuted “The Lion King” before its move to Broadway. View more Minnesota Theaters and Playhouses.